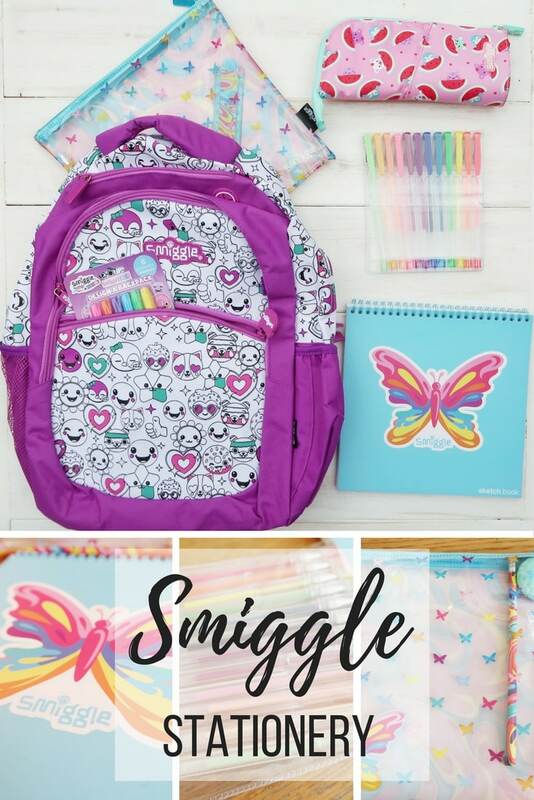 Smiggle sent us some gorgeous back to school items recently, including everything needed to start a new term. Smiggle is a relatively new and funky brand and was born in 2003. They seek to create colourful, fun, and fashion-forward stationery. 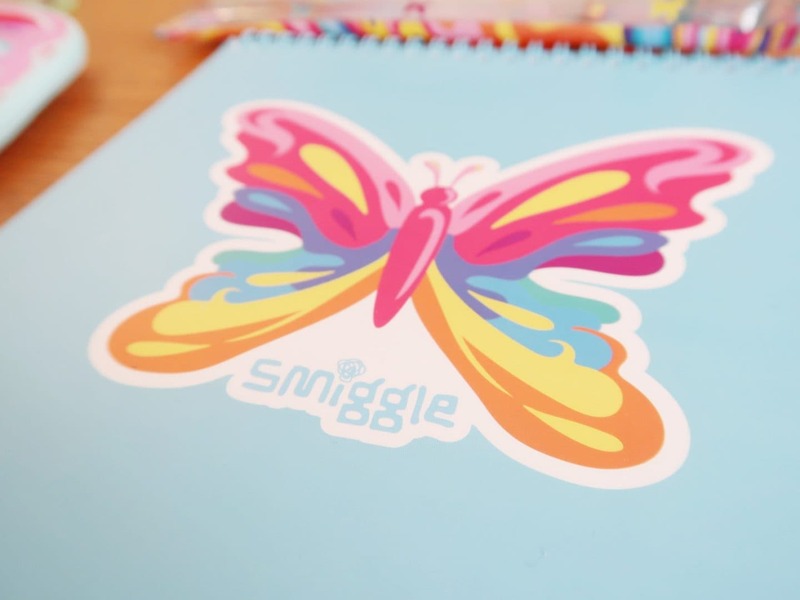 The first Smiggle stationery store opened in Melbourne, Australia and they have since expanded across the world. Both children are still a touch young to truly need much for school and nursery but they were still excited by these items. If Smiggle had existed when I was at school, I would have loved it. 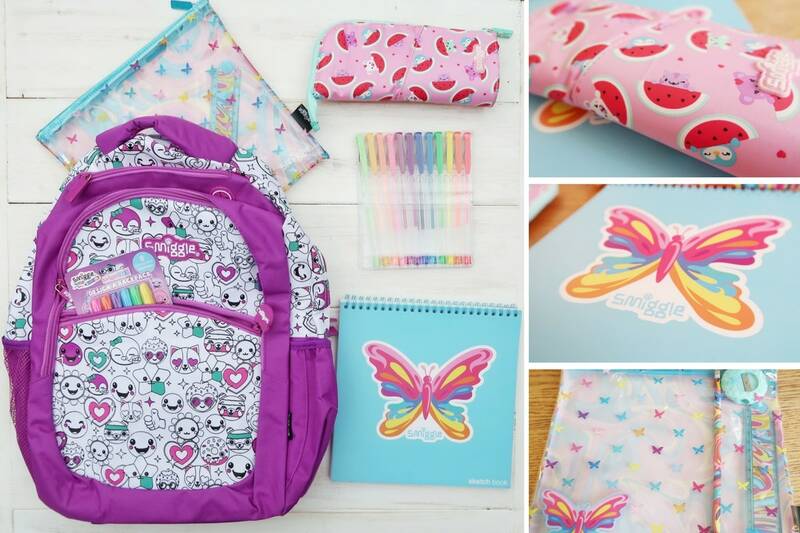 Smiggle stationery is great quality and the designs are bright and imaginative. 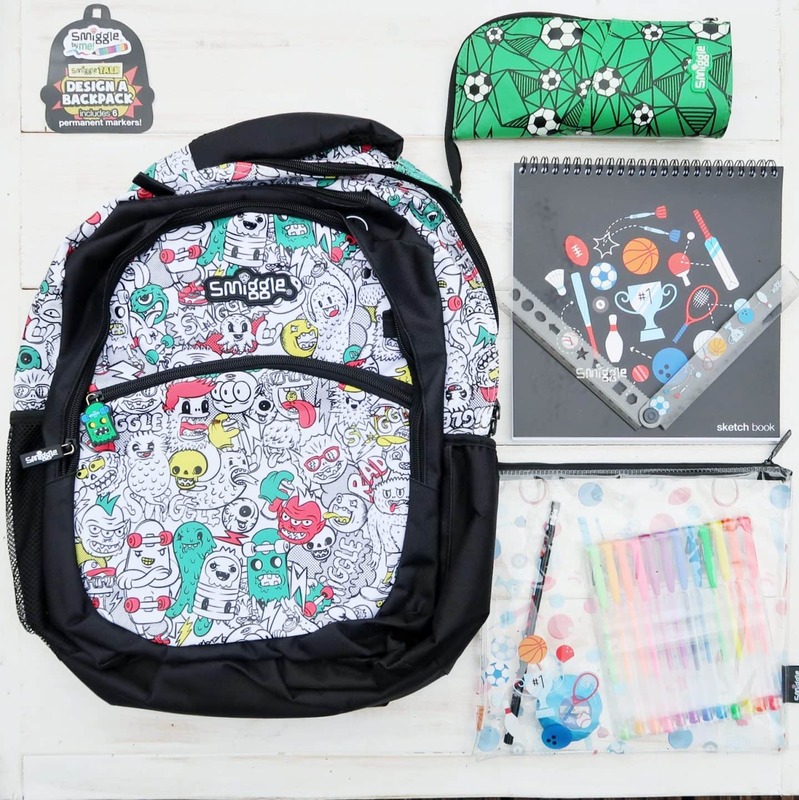 One of our favourite items was the ‘Design Your Own Back Pack’ bags (see above) which come complete with permanent markers, allowing kids to colour in their own backpack, making each bag unique. I have not yet let mine have a go at colouring them (permanent markers and preschoolers still a bit risky here!). However, I can see how this aspect would be so appealing to children just a little bit older than mine. I would have taken ages colouring one in and making it perfect as a child. 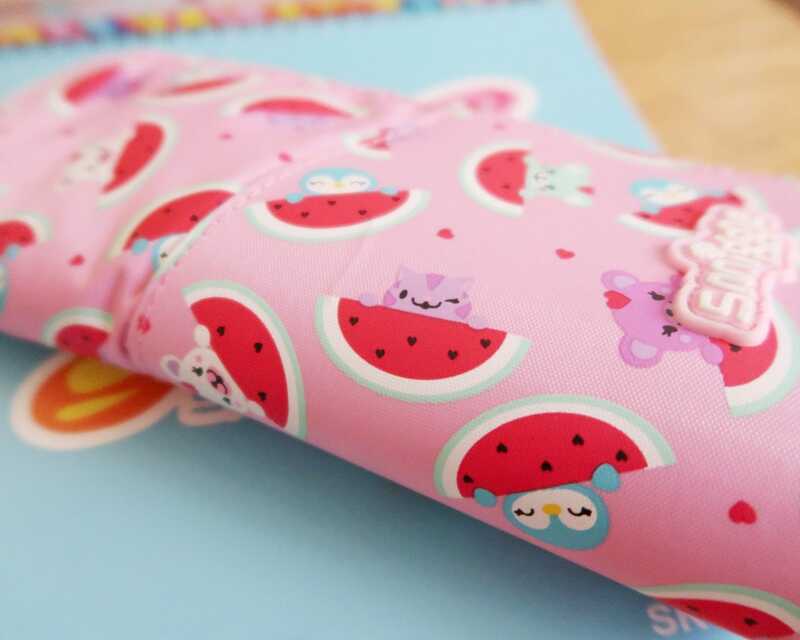 The pencil cases and wallets are really practical. I loved the way that one side is reinforced, making the case sturdy and finding your pens and pencils easy. Each wallet contained a small sketch pad and useful items like a ruler, pencil and sharpener. I particularly liked the ruler in the sport themed wallet, as it had useful stencils and folds out. My one reservation about the items was that there were very much designed in styles for ‘boys’ and ‘girls’. Biggest really struggles with motor skills and is not sporty or interested in sport at all. He was much more interested in the butterflies and pink items. However, since his sister loves pink and purple, she was not willing to part with those items either! A quick look at the Smiggle site confirmed my thoughts that they were lacking in items that were colourful and funky but not geared towards one gender or the other. 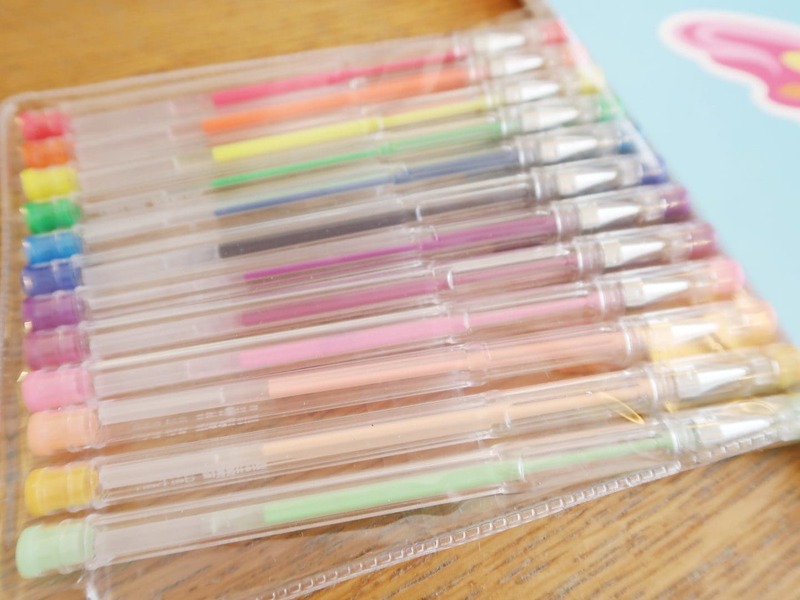 Overall, I think a trip to a Smiggle stationery store is likely to be a big hit with children in the 7-12 range. Please note, Smiggle sent us these items in exchange for an honest review.